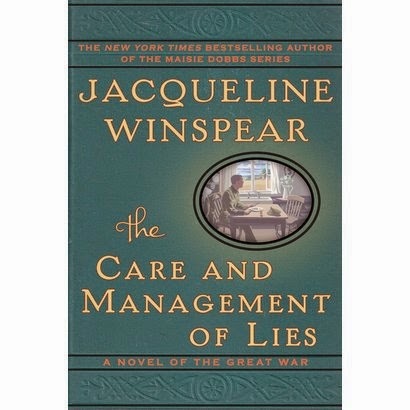 Join Heffers Bookstore Cambridge for a rare visit from Jacqueline Winspear who is visiting Heffers on 20th August 2014 to talk about her latest, standalone book: Care and Management of Lies. By July 1914, the ties between Kezia Marchant and Thea Brissenden, friends since girlhood, have become strained – by Thea’s passionate embrace of women’s suffrage and by the imminent marriage of Kezia to Thea’s brother, Tom, who runs the family farm. When Kezia and Tom wed just a month before war is declared between Britain and Germany, Thea’s gift to Kezia is a book on household management – a veiled criticism of the bride’s ordinary life to come. Yet when Tom enlists to fight and Thea is drawn reluctantly onto the battlefield herself, the farm becomes Kezia’s responsibility. Each must find a way to endure the ensuing cataclysm and turmoil. As Tom marches to the front lines and Kezia battles to keep her ordered life from unraveling, they hide their despair in letters filled with stories woven to bring comfort. But will well-intended lies and self- deception be of use when they come face-to-face with the enemy? Jacqueline Winspear was born and raised in Kent and emigrated to the USA in 1990. She has written extensively for journals, newspapers and magazines, and has worked in book publishing on both sides of the Atlantic. 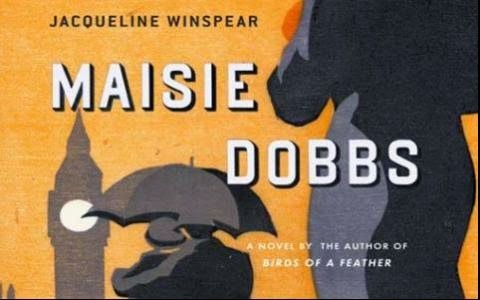 Her acclaimed Maisie Dobbs crime series, set in the aftermath of WWI, is beloved by readers worldwide, who can now also follow her Maisie Dobbs Blog: Inspirations from an Extraordinary Generation. We'd urge you to book early as this will be a sellout event! Already a popular television series in France, the Winemaker Detective series is being translated into English by mystery and thriller publisher Le French Book, which just signed the rights for five more titles. With these new titles, the Winemaker Detective will travel to Montmartre, in Paris, Beaujolais, Alsace, Romanée-Conti (Burgundy) and all the way to Hungary's Tokay region. For publisher Anne Trager, "These are entertaining cozy mysteries full of wine lore and food loving zeal. As the series goes on, the two main characters grow, and their adventures continue, while readers get to vicariously explore more wine country. They are great fun." Jean-Pierre Alaux is a magazine, radio, and television journalist when he is not writing novels in south-western France. He is a genuine wine and food lover and the grandson of a winemaker. For him, there is no greater common denominator than wine. Co-author of the Winemaker Detective series, Noël Balen lives in Paris, where he shares his time between writing, making records, and lecturing on music. He plays bass, is a music critic, and has authored a number of books about musicians in addition to his novel and short-story writing. More information can be found at Le French Book. The authors and Icelandic translators of the following five novels are shortlisted for the inaugural Icepick Award – the Iceland Noir Award for translated crime fiction. The award is founded by the Reykjavik Crime Festival Iceland Noir, The Icelandic Association of Translators and Interpreters and The Icelandic Crime Writing Association. 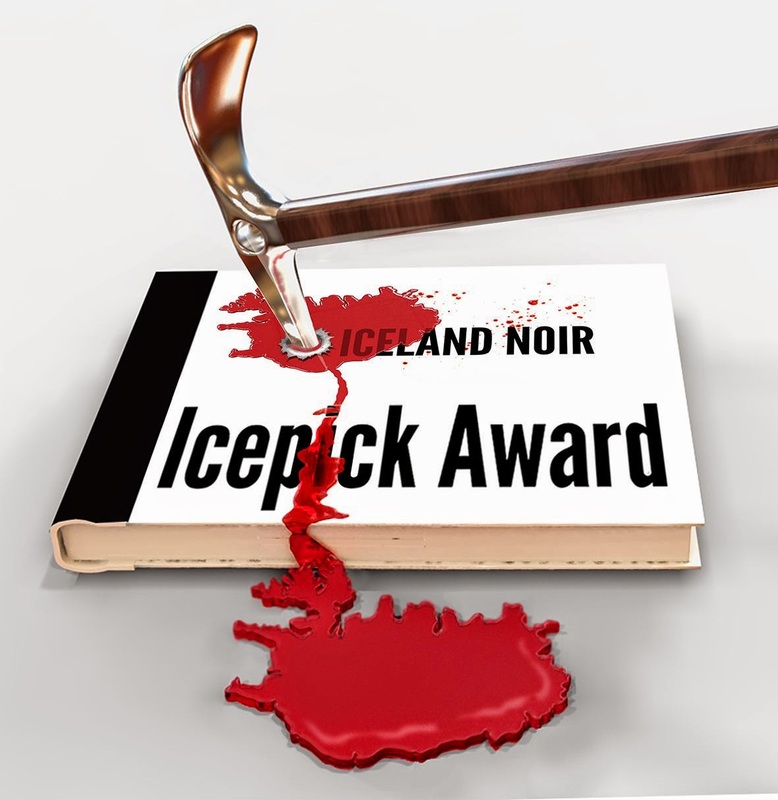 The Icepick will be awarded for the first time at the Nordic House in Reykjavik on 22 November 2014. The Icepick shortlist is announced on the date of birth of Raymond Chandler, who used an icepick as a murder weapon in his 1949 novel, The Little Sister. The jury for the award is composed of Magnea J. Matthíasdóttir, Chairman of The Icelandic Association of Translators and Interpreters, Katrín Jakobsdóttir, Member of Parliament and former Minister of Culture and Education, journalist and literary critic Kolbrún Bergþórsdóttir, and crime writers Quentin Bates Ragnar Jónasson. The judging panel commented that Veljeni vartija [My Brother’s Keeper] by Antti Tuomainen and translated by Sigurður Karlsson is a very well written crime noir from Finland. The author’s strong and sharp style is impressive and memorable, and is delivered well in translation. Panserhjerte [The Leopard] by Jo Nesbø, translated by Bjarni Gunnarsson, is a terrific crime novel from the Norwegian grandmaster, well translated; the eighth Harry Hole novel and one of the best in the series. Gone Girl by Gillian Flynn, translated by Bjarni Jónsson, is seen as a brilliant and exciting thriller, fluently translated; an unusual and surprising storyline, with a wonderful plot twist. The panel found Människa utan hund by Håkan Nesser, translated by Ævar Örn Jósepsson, to be a first class family drama in the form of a crime novel, driven by strong characters; impressively translated. In La Vérité sur l'affaire Harry Quebert [The Truth About the Harry Quebert Affair] by Joël Dicker, translated by Friðrik Rafnsson an unusual hero gets caught up in a murder mystery full of surprises, keeping the reader’s attention for 700 pages; a cleverly constructed book, and a very fine translation. 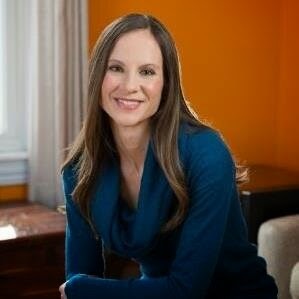 Today’s guest blog is by debut author Mary Kubica. When I began writing The Good Girl, it was a very conscious decision. There wasn’t an event or events that inspired me, nor does the novel draw on any dark element of my own childhood. It’s quite the opposite, in fact. People often seem perplexed that a novel as dark as The Good Girl would come from me – someone with a happy childhood, a rather uneventful existence – and yet this was half the fun of it: exploring a reality which was far from mine. seemed. Where it came from, I can’t say for certain; I suppose I’m just someone with an active imagination as often goes hand in hand with a writing career. The first time I sat down at the computer to begin The Good Girl (without notes or an outline, just myself and the computer and a few moments of peace and quiet while my daughter napped) this was all I had. I very quickly decided to write the novel from the viewpoint of various narrators, as well as in a nonlinear structure to enhance the mystery – or mysteries – that surround the abduction of Mia. 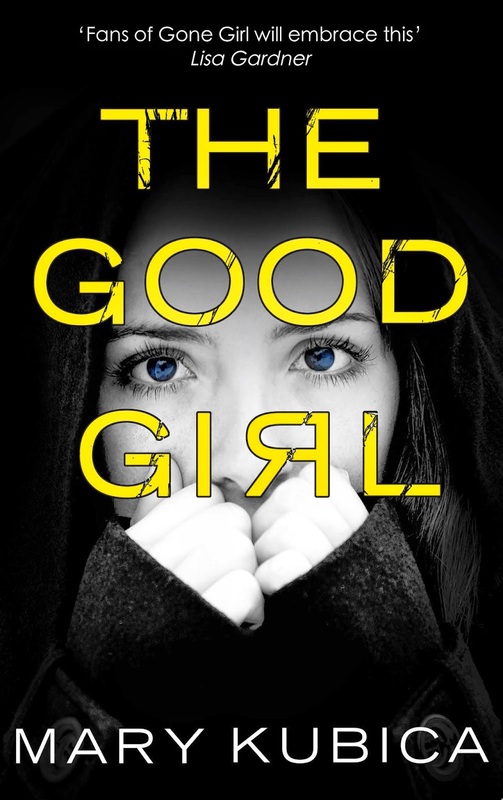 I’ve often struggled to define the source of inspiration for The Good Girl, for I feel there should be some key event that triggered this novel, and yet for as hard as I’ve tried, I can pinpoint none. The novel is set partially in my hometown, and as an avid reader of suspense novels, it was certainly my genre, but neither of these could be credited as a source of inspiration. It took me awhile to realize that the inspiration didn’t come to me before I began writing or there at page one of the novel, but much later on, when I found myself so absorbed in the characters – mainly Mia and Colin – that I found myself thinking about them at all hours of the day and night, and I often found them visiting me in my dreams. There are specific times I remember waking in the middle of the night, utterly concerned for Mia’s wellbeing, or grieving with Eve for her missing child. I woke from sleep, on more than one occasion, with a scene – as clear as day – playing in my mind. When I was most engrossed in writing the novel, I felt connected to the characters in The Good Girl like I hadn’t been with any characters I’d written up to that time or any characters I’ve written since. I knew them intimately, what they would do and what they would say, and it’s clear to me now that all along it was my characters who were my muse, my source of inspiration. Someone once suggested to me that it was Mia and Colin, Eve and Gabe who told their story to me rather than the other way around, and I firmly believe this is true. To the characters in all future novels of mine, take note: you have a lot to live up to. More information about the author can be found on her website. She can also be found on Facebook and you can follow her on Twitter @MaryKubica. Based on the award-winning novel Mercy, the first of the bestselling Department Q crime fiction series by Jussi Adler-Olsen, THE KEEPER OF LOST CAUSES is a powerful and gripping thriller starring Nicolaj Lie Kaas (The Killing), Sonja Richter (The Homesman) and Fares Fares (Zero Dark Thirty, Safe House) from the screenwriter of The Girl With The Dragon Tattoo. Carl Mørck (Kaas) is a troubled detective who takes the fall when his partner is wounded during a routine operation. Reassigned to the newly created Department Q, a basement-bound job filing cold cases, he is allocated a new assistant, Assad (Fares), a smart young Muslim cop. Always one to go against orders, Mørck throws them headlong into the mystery of a politician’s disappearance (Richter) five years earlier. Believing the case to be unsolved, they embark on a dangerous journey that will uncover a shocking truth, leading to a thrilling and unforgettable climax. 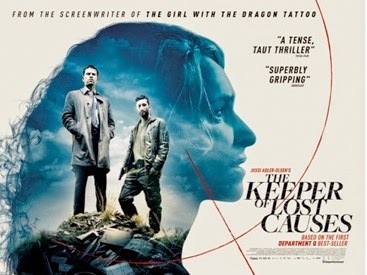 From the producers of Nymphomaniac and A Royal Affair, THE KEEPER OF LOST CAUSES will be released in cinemas on August 29th, 2014. *To coincide with the release of the film, Penguin will be re-issuing the original novel in the UK with the new title ‘The Keeper of Lost Causes’ (the original book title in the US).